Migrant farmworkers with H-2A visas sleep on the bus from their labor camp to the fields to harvest romaine lettuce before dawn in King City, California, U.S., April 17, 2017. REUTERS/Lucy Nicholson SEARCH "H-2A NICHOLSON" FOR THIS STORY. SEARCH "WIDER IMAGE" FOR ALL STORIES. Migrant farmworkers with H-2A visas harvest romaine lettuce in King City, California, U.S., April 17, 2017. REUTERS/Lucy Nicholson SEARCH "H-2A NICHOLSON" FOR THIS STORY. SEARCH "WIDER IMAGE" FOR ALL STORIES. Migrant farmworkers with H-2A visas pick up food from the kitchen at the Toro Labor Camp in Salinas, California, U.S., April 17, 2017. REUTERS/Lucy Nicholson SEARCH "H-2A NICHOLSON" FOR THIS STORY. SEARCH "WIDER IMAGE" FOR ALL STORIES. Migrant farmworkers with H-2A visas wash their hands after traveling from their labor camp to the fields to harvest romaine lettuce before dawn in King City, California, U.S., April 17, 2017. REUTERS/Lucy Nicholson SEARCH "H-2A NICHOLSON" FOR THIS STORY. SEARCH "WIDER IMAGE" FOR ALL STORIES. A migrant farmworker with an H-2A visa arrives to eat dinner after a day in the fields at the Toro Labor Camp in Salinas, California, U.S., April 17, 2017. REUTERS/Lucy Nicholson SEARCH "H-2A NICHOLSON" FOR THIS STORY. SEARCH "WIDER IMAGE" FOR ALL STORIES. Romaine lettuces grow in a field for harvest by migrant farmworkers with H-2A visas in King City, California, U.S., April 17, 2017. REUTERS/Lucy Nicholson SEARCH "H-2A NICHOLSON" FOR THIS STORY. SEARCH "WIDER IMAGE" FOR ALL STORIES. Foreman Roberto Navarrete, 30, supervises migrant farmworkers with H-2A visas as they harvest romaine lettuce in King City, California, U.S., April 17, 2017. REUTERS/Lucy Nicholson SEARCH "H-2A NICHOLSON" FOR THIS STORY. SEARCH "WIDER IMAGE" FOR ALL STORIES. The wheel on a truck is seen next to lettuce as migrant farmworkers with H-2A visas harvest romaine lettuce in King City, California, U.S., April 17, 2017. 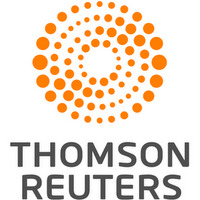 REUTERS/Lucy Nicholson SEARCH "H-2A NICHOLSON" FOR THIS STORY. SEARCH "WIDER IMAGE" FOR ALL STORIES. A migrant farmworker with an H-2A visa harvests romaine lettuce in King City, California, U.S., April 17, 2017. REUTERS/Lucy Nicholson SEARCH "H-2A NICHOLSON" FOR THIS STORY. SEARCH "WIDER IMAGE" FOR ALL STORIES. Migrant farmworkers with H-2A visas walk to take a break after harvesting romaine lettuce in King City, California, U.S., April 17, 2017. REUTERS/Lucy Nicholson SEARCH "H-2A NICHOLSON" FOR THIS STORY. SEARCH "WIDER IMAGE" FOR ALL STORIES. Supervisor Sergio Marmalejo, 55, watches migrant farmworkers with H-2A visas, harvest romaine lettuce in King City, California, U.S., April 17, 2017. REUTERS/Lucy Nicholson SEARCH "H-2A NICHOLSON" FOR THIS STORY. SEARCH "WIDER IMAGE" FOR ALL STORIES. Migrant farmworker Hector Manuel Morales, 20, from Mexico, who has an H-2A visa, stretches before harvesting romaine lettuce in King City, California, U.S., April 17, 2017. REUTERS/Lucy Nicholson SEARCH "H-2A NICHOLSON" FOR THIS STORY. SEARCH "WIDER IMAGE" FOR ALL STORIES. TPX IMAGES OF THE DAY. Migrant farmworkers with H-2A visas put on gloves after traveling from their labor camp to the fields to harvest romaine lettuce before dawn in King City, California, U.S., April 17, 2017. REUTERS/Lucy Nicholson SEARCH "H-2A NICHOLSON" FOR THIS STORY. SEARCH "WIDER IMAGE" FOR ALL STORIES. A migrant farmworker with an H-2A visa harvests romaine lettuce before dawn in King City, California, U.S., April 17, 2017. REUTERS/Lucy Nicholson SEARCH "H-2A NICHOLSON" FOR THIS STORY. SEARCH "WIDER IMAGE" FOR ALL STORIES. 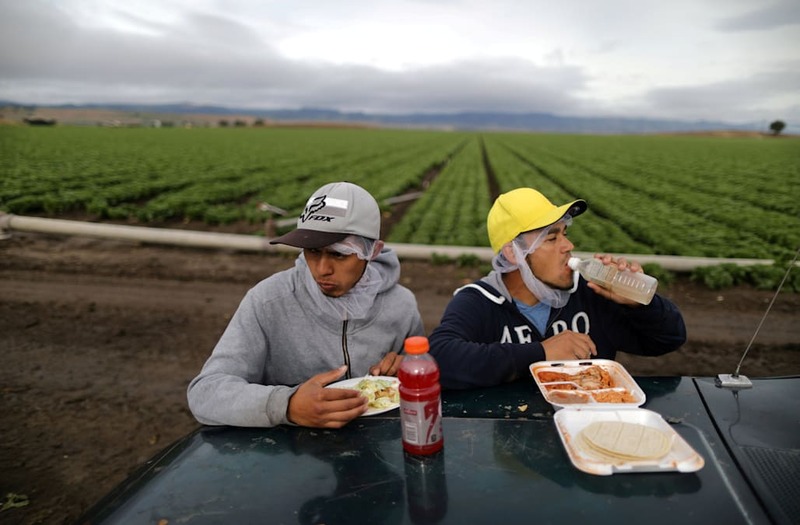 Mexican migrant farmworkers Jesus Martin Ley Lugo, 27, (R) and Rogelio Garcia Parria, 20, who both have H-2A visas, eat during a break while harvesting romaine lettuce in King City, California, U.S., April 17, 2017. REUTERS/Lucy Nicholson SEARCH "H-2A NICHOLSON" FOR THIS STORY. SEARCH "WIDER IMAGE" FOR ALL STORIES. KING CITY, Calif., May 15 (Reuters) - On an overcast spring morning, about 40 Mexican men turned out in the pre-dawn hours to board a bus for California's Salinas Valley where they would harvest 16 acres (6.47 hectares) of lettuce over the next three days. Hector Manuel Morales, 20, came north from Mexico to work the fields with his three cousins. He said his family worried about his journey, spooked by President Donald Trump's talk of a crackdown on illegal immigrants. But he does not anticipate problems. While about half of U.S. crop workers are in the country illegally, Morales and the other men have H-2A visas, which allow them to work temporarily as seasonal agricultural laborers on American farms. "We are not violating any law here in the U.S.," he said. "We come to work." His co-worker Rafael Gonzalez Arredondo, 23, said listening to Trump's statements about Mexico was "difficult, but we are going to show him that Mexicans are hard working people, that we are not what he says." The men came to the country through a labor brokerage company, Fresh Harvest, which brings in H-2A laborers to work on farms in need of temporary workers. This year, the company's owner, Steve Scaroni, says he expects to bring in about 4,000 workers. Companies like Fresh Harvest are attractive for farmers who want to employ legal workers but do not want to deal with the considerable government red tape and regulations associated with the H-2A program. Employers who bring in workers on the visas must provide them with free transportation to and from the United States as well as housing and food once they arrive. Wage minimums are set by the government and are often higher than farmers are used to paying. Still, Scaroni says he could find work for even more people if he had enough housing. While use of the H-2A program has steadily increased over the past decade, it still accounts for only about 10 percent of the estimated 1.3 million farmworkers in the United States, according to government data. In 2016, the government granted 134,000 H-2A visas. Alfredo Lopez Granados, 27, from Michoacan, Mexico has come north to work on an H-2A visa five times. He misses his family back home, he says, but the decision is not difficult. "Once you are here," he said, "in one day you make more than you make in a week in Mexico."